In search for a shipping solution for your business? 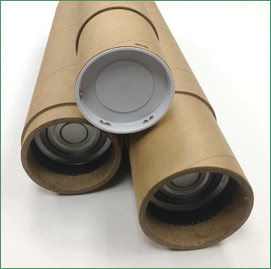 Chicago Mailing Tubes offers 5.000" x 24" heavy-duty kraft tubes with snapping plastic caps. The plastic tube caps are quality tested to guarantee safe & secure shipping; they will not fall off! The quality of our kraft ensures that your products will arrive safely to their destination. 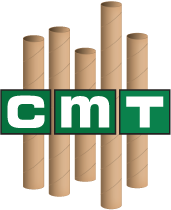 CMT's heavy-duty kraft tubes are not only affordable, but also reusable, recyclable, and cost-efficient. Chicago Mailing Tube's production process takes place in one manufacturing plant. We use state-of-the-art equipment and individually inspect every mailing tube to make sure it meets our industrial standards. Due to our flexible production capabilities, we offer fast 24-hour shipping services. 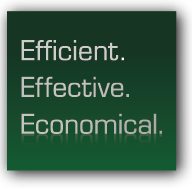 Contact our service reps today at (312) 243-6050 for a quote on your 5" x 42" heavy-duty kraft tubes. No minimum order is required!